I’ve been so busy recently filming the new series of Made in Chelsea, as well as organising the launch of my boot camp, the launch of the new range of Creature jewellery, meetings, events as well as I’m just about to start my own personal training qualification which means i’ll be even busier! So when I heard I had the weekend off from filming myself and one of my best friend Flavia decided to book Budapest. 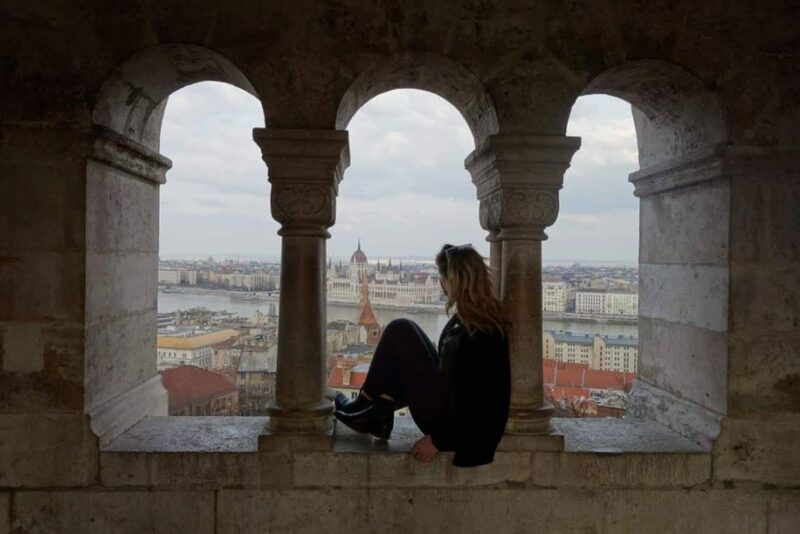 Lots of people asked me why Budapest and I couldn’t really tell you why before but I just always wanted to go! We stayed at the Four Seasons Budapest, which is in such an incredible location located on the pest side of the famous chain bridge. 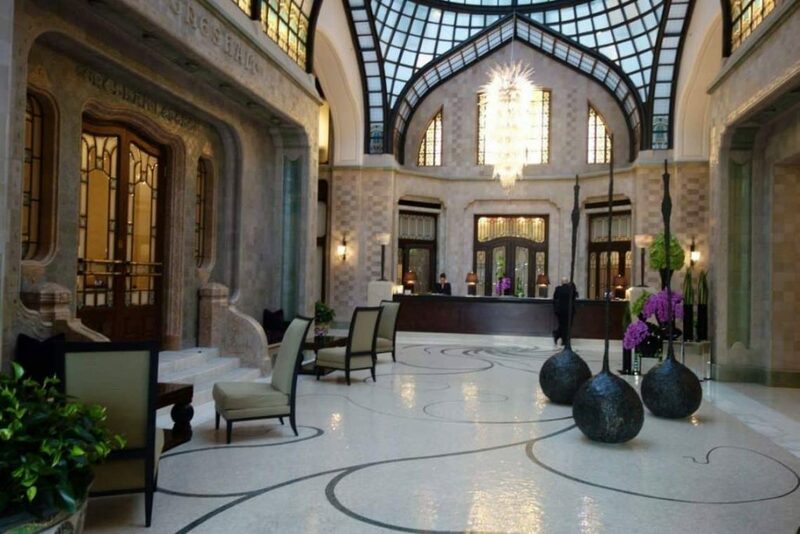 The hotel was originally Gresham Palace so it has amazing historical architecture but with modern comforts. 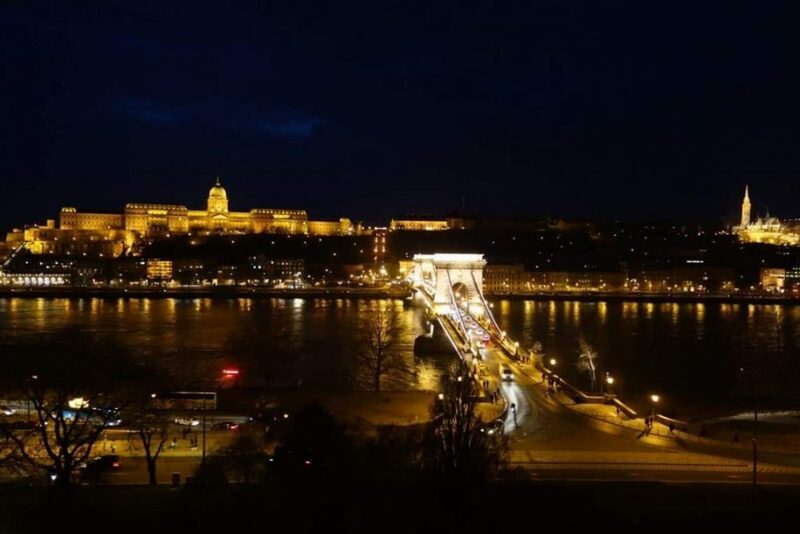 We had a lovely double bedroom with views overlooking the bridge and the danube river. Fisherman’s bastion. You can walk here from the Four Seasons over the bridge, takes about 25 minutes. (Make sure you pack comfortable shoes because there is a lot of walking to be done in Budapest and I only took boots and ended up with lots of blisters! Ouch). Stop and have a drink at the bar which has amazing views of the city. New York Cafe, amaaaazing decor, food and live pianist playing classical music. If staying at the Four Seasons, relax in their spa which has a pool, hot tub and sauna and is lovely. In the evening go to some of the ruin bars, I didn’t even know these existed but my friend took me. They are so cool, massive derelict buildings from the war that are unique to Hungary. These are downtown in the old Jewish district. They have so many different levels and edgy furnishings. Oh and drinks are about £3 for cocktails! My favourite bar was called Szimpla Kert which is actually the first ever ruin bar. 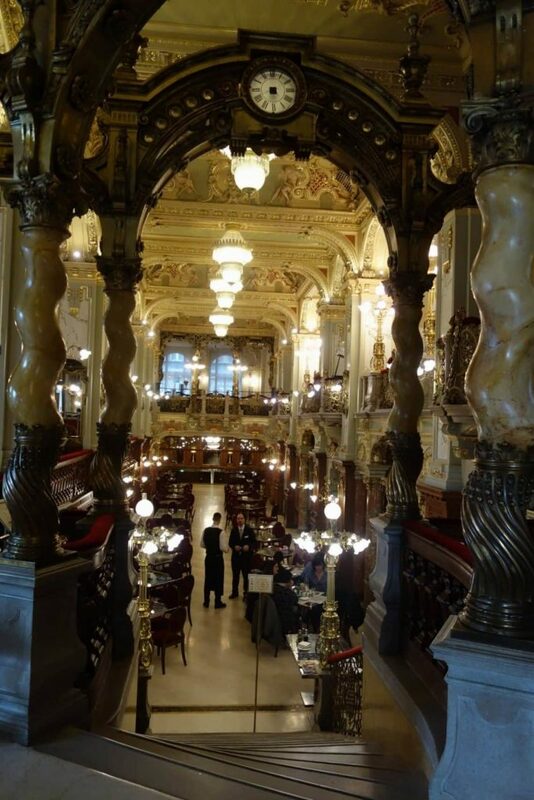 Liberté Budapest grand cafe for lunch. 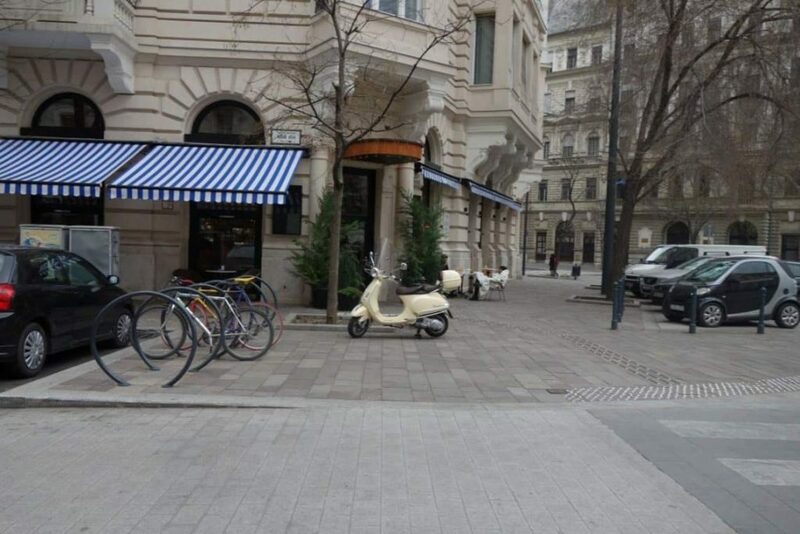 Really cute cafe, with traditional Hungarian food as well as healthy fresh salads. Dinner at Kollázs in the Four Seasons. 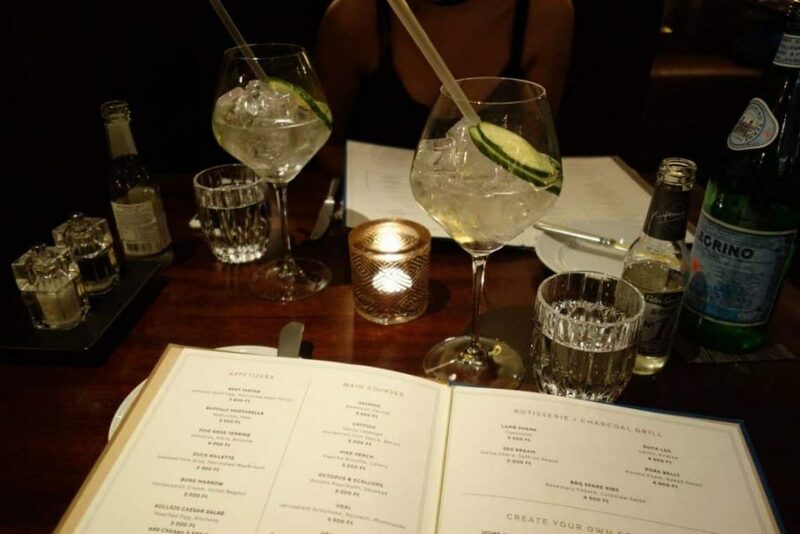 They have amazing cocktails (I had the rose petal martini) and such good food. Definitely go for the dover sole, which they fillet in front of you and well. So that is my 48 hour to do list for Budapest as well as relax and just enjoy the beauty and culture of the city!